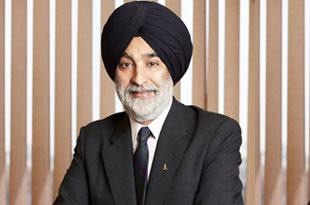 Industrialist Analjit Singh, the promoter of Max Group, has made an open offer to raise stake in the demerged arm Max Ventures & Industries Ltd, which got listed on Wednesday. The proposed open offer that can allow him to up the promoter holding to 75%, was first announced in January 2015. The promoters currently own 40.4% in Max Ventures and have offered to buy 36.3% stake more. Promoters of listed firms can own a maximum of 75% in their companies. If the open offer if fully accepted, it would cost the promoters as much as Rs 58.2 crore ($8.5 million). Meanwhile, Max Ventures listed on the bourses on Wednesday and was quoting at Rs 47.2 a share, up 4.89% on the BSE in a flat Mumbai market at 10.11 AM. Max Ventures is one of the three holding companies formed after the demerger of the erstwhile Max India Ltd earlier this year. On Tuesday, the group said this firm will look at investing in new sectors, including education, real estate and technology, making it a diversified holding arm, similar to what Max India was before it as spliced up. Max Ventures that currently manages the investment in its manufacturing subsidiary Max Speciality Films, is the second company to start trading on the bourses after the demerger. Max Financial Services, which focuses solely on the group's flagship life insurance activity through its majority holding in Max Life, had already started trading after the demerger in January. The third unit—Max India Ltd—which houses investments in the health verticals, including hospital chain operator Max Healthcare, health insurance JV Max Bupa and Antara Senior Living, will be listed shortly. Max Ventures recently set up a wholly-owned subsidiary Max Estates Ltd, which will undertake real estate development projects, and will also explore investments in other sectors. It also recently invested in Azure Hospitality Pvt Ltd, which owns and operates Mamagoto, a mid-scale casual dining restaurant chain for Indian and Chinese street food and an institutional catering service. “MVIL will be our vehicle to pursue formats in areas which either have adjacencies to our businesses or where we have long-standing experience,” said Analjit Singh, founder and chairman emeritus, Max Group, and chairman MVIL.